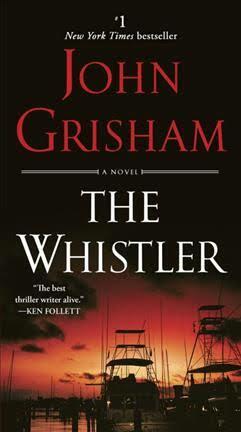 I am sure you all know John Grisham’s books. He is a lawyer turned novelist who uses his vast legal knowledge to educate the reader on diverse areas of the law. This book is about Whistleblowers. Why? How? Legal authority? Who? Readers are introduced to some very interesting characters who play the lawyer’s game of hide and seek. Who is the whistleblower? Why has he chosen a greedy, but interesting judge to portray the dark side of the legal system. Of course, the good lawyers are represented by a lovely introspective and smart lady by the name of Lacy. There is a love interest and friendships and an unforgettable family member of Lacy who will just plain annoy you. The legalese is intelligent and easily explained and understood. This “who dun it” is a fast read. Lawyers, FBI agents, police entities and money laundering on a grand scale for an Indian tribe in Florida will take you on a ride that is fun, interesting and mind bending! What a ride. Go to the library and get this exciting trip into the world of gangsters, good Native Americans, bad Native Americans, good cops, bad cops and a very weird all-knowing family member. You will like this book and get a good insight into what, why, how and who would be a whistleblower. John Grisham never lets you down. Knowledge, excitement, spooky people and a good ending. Good read.